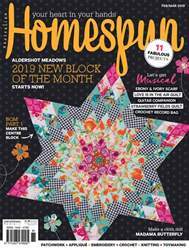 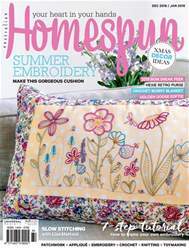 Not only does Homespun September issue have an amazing assortment of inspired projects (quilts, embroidery, nursery knits, wallhangings, doll, bear, purses and bunches of 3D fabric flowers), it also has a very special feature you won’t want to miss. 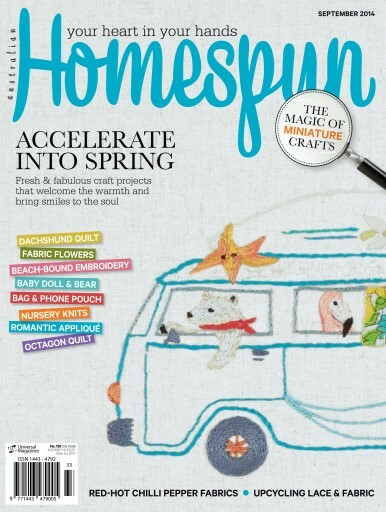 In an international roundup of the best examples ever, Homespun invites readers into the world of miniature crafts, including sewing materials, jewellery, scenery and landscapes and irresistibly cute microscopic animal softies. 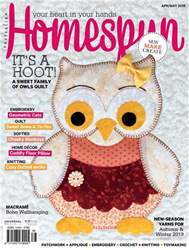 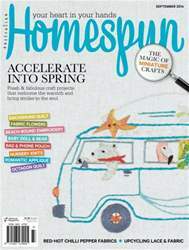 Make a point of picking up an issue of Homespun this month – it is truly special.